Are you a fishing enthusiast who is also on the lookout for the 5 best fishing spots in the U.S? Would you like to eliminate any guesswork in your fishing venture and catch as much fish as possible? Are you also keen in avoiding accidents and other unnecessary incidentals that may arise in the course of fishing? Have you also been wondering just where you might find these critical pieces of information? Well, if I heard you say yes to any of these questions, you have truly landed on just the right page! We have devoted this page to discussing the subject of fishing in the United States of America. In this page, we will highlight the top five fishing spots adventure spot in the country and write a brief description of them. We have invested a great deal of wit, time, and effort to collect all the relevant pieces of information. We do hope this will help you in successfully getting started. Undoubtedly America’s premier fishing ground, Cape Cod is a hook -shaped peninsula that is located off the coast of the U.S. state of Massachusetts. It has featured in the National Geographic’s ‘Wicked Tuna’ severally owing to the high number of fish species and the conducive fishing environment it accords. It provides fishing enthusiasts like you with the leeway to fish in either shallow waters or venture deeper into the ocean. This is by reason of enclosing some shallow waters with the mainland and also offering access to the deeper waters of the Atlantic Ocean. This peninsula is home to several fish species such as Striped Bass, Bluefish, Black Sea Bass, Atlantic Bluefin Tuna, Tautog, Weakfish, Spiny Dogfish, Great White Shark, and Giant Bluefin. By opting to catch your fish in the area, expect to confront less turbulence, ocean currents, and icing as is the case with most North American fishing grounds. Galveston is an island off the coast of Houston, Texas. It is located in between the Gulf of Mexico on the one hand and the Galveston Bay on the other hand. Moreover, it is also served by excellent infrastructure not to mention its close proximity to the Houston metropolitan region. Pompano, Marlin, King Mackerel, King Fish, Gaftop, Flounder, Drum, Croaker, Crevalle Jack, Cabia, Bull Shark, Bluerunner, Blacktip Shark, to mention but a few! This bay, therefore, gives you the dual freedoms to select which species you prefer and how far into the open sea you may possibly want to venture out. Located in the Alaska’s Kenai Peninsula in the North Pacific region, Homer is a true fishing ground. It has an excellent harbor where fishing boats dock successfully and all the catches seamlessly off-loaded from them. It is sheltered from the open ocean and the attendant strong currents. This is by virtue of the ruggedness of the adjacent coastlines. The peninsula is also located right next to the cold Pacific Ocean which is a hotbed of most sea fishes. Because of these factors, the peninsula provides very safe, reliable, and excellent fishing ground. 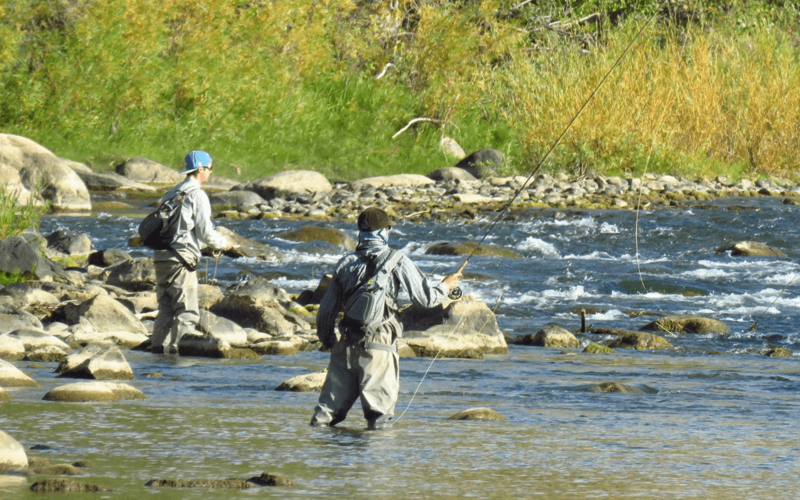 Among the various fish species which you may catch abundantly here are Salmon, Char, Halibut, Lampreys, Trout, Grayling, Dolly Varden, Lingcod, and Arctic Grayling, among others. Being cold, Alaska as a whole is an excellent freezer. This means that the fish you catch may remain fresh for longer without necessarily being kept in a freezer. It also means you stand to save lots of money due to fewer losses. For this reason, the peninsula is pretty suitable for fishing as it prevents premature rotting of the catch naturally. It is a fishing village that is situated on the west coast of the Big Island (Hawaii Island). It is adjacent to the dark blue Pacific Ocean and is sheltered from strong winds by reason of the indentation of the adjacent coastline. It is also fairly deep and rich in fish foods. These factors jointly make it rather a lucrative fishing ground. Indeed, the village is home to several fish species. Among these are Black Marlin, Sailfish, Striped Marlin, MahiMahi, Wahoo (Ono), Skipjack Tuna, Yellowfin Tuna, Bigeye Tuna, Swordfish, Spearfish, Blue Marlin, Exotic Bottom fish, and Dolphin. The Honokohau Harbor is expressly designed and constructed to aid fishing enthusiasts like you to catch as much fish as they possibly can. Because of this, you can be sure that your fishing adventure can be as fruitful as possible should you opt to use the village as your preferred fishing ground. This city is located right next to the Atlantic Ocean at the edge of the Gulf of Mexico. The area comprises deep waters that are largely sheltered from strong ocean currents. Fish, and Dolphin. Apart from the existence of numerous fish species, several other factors also make the city reasonably suitable for the trade. Firstly, is the existence of boat rental companies that lease out fishing boats at affordable rates. Secondly, the city is sheltered from the strong ocean currents that are prevalent in that portion of North Atlantic Ocean. Thirdly, the city has a very good infrastructure that greatly facilitates fishing and other forms of trade. Finally, Miami, Florida, which is one of America’s largest cities, is located nearby. The city assures a steady market for all the fish caught. We do hope that you have found the information we have provided above very informative and useful. We also hope that the information we have provided will help you in getting started by aiding you in selecting the most suitable location. Why don’t you now proceed and start out your fishing career? Of course, the locations we have identified and explained above are not all that the wonderful nation of the United States of America may have to offer. There are indeed numerous others which have been inevitably left out owing to the limited space available. You should thus attempt to find out the other equally crucial locales especially if you reside in a region that is farther away from these 5 best fishing spots in the U.S we have identified and explained above.